World Cup started earlier this week and now that the weekend has come, the webcast can begin. All you lucky iPhone users can watch the webcast wherever you are. 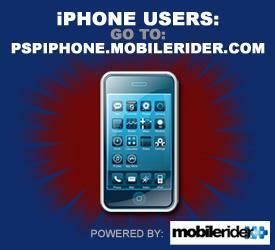 Log-on to pspiphone.mobilerider.com using the browser on your phone to view the webcast.